← Germans don’t understand how currency unions need to function. 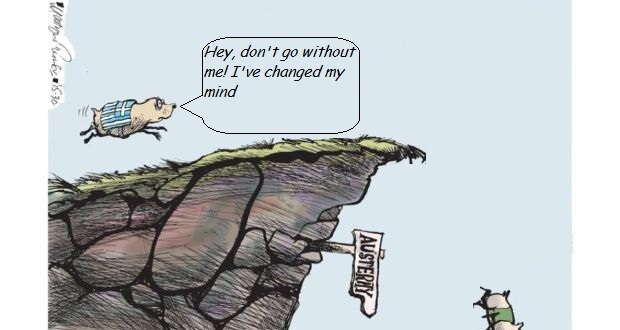 I hope Martyn Turner doesn’t mind my addition of a second cartoon pic to his excellent first one! 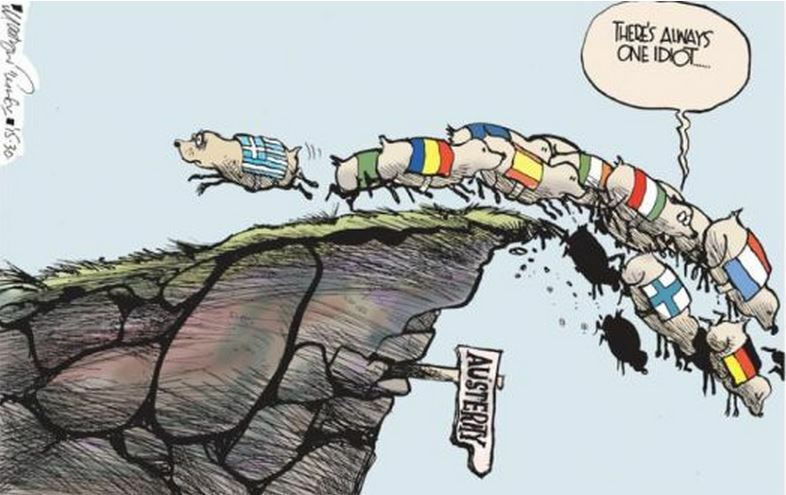 Edit: These look more like pigs than lemmings. Gadarene swine maybe? Yes I there’s a guy called Rob Parenteau been pushing a similar idea on the blogs. Tax Anticipation Notes are used by some of the US States. It would depend on whether the Germans allow these kind of parallel currencies. They can veto anything they don’t like and I can’t see them liking this idea.